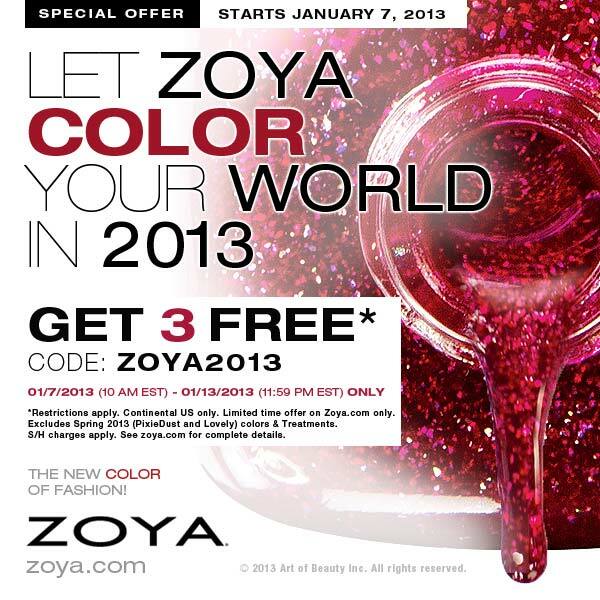 Princess Polish: Zoya's Free Three is Back! Zoya's Free Three is Back! So what three Zoyas will you be picking up? This actually just went live! I just used it! Eeeek!